After deliberation with our professional trainers and customers, D.T. Systems has produced the new EZT plus Series. 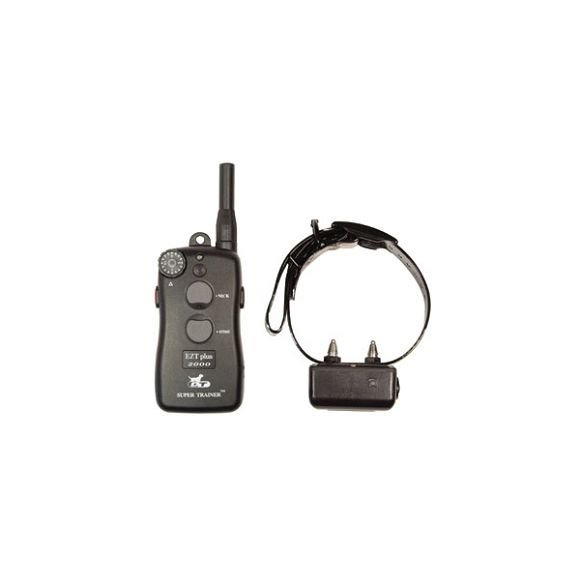 The EZT plus Series represent the absolute latest technological advancement in the Electronic Dog Training World. With up to a 1,200 yard range, they are perfect for hunting, basic obedience and professional training. After deliberation with our professional trainers and customers, D.T. Systems has produced the new EZT plus Series. The EZT plus Series represent the absolute latest technological advancement in the Electronic Dog Training World. With up to a 1,200 yard range, they are perfect for hunting, basic obedience and professional training. The EZT plus Series collars feature Sixteen levels of stimulation intensity. Because there is only one button for each feature, this allows for easy one-handed, Ôno-lookÕ operation for efficient training.